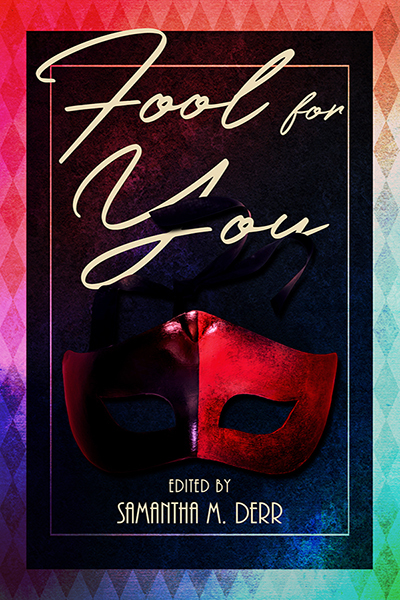 Today is release day for Less Than Three Press' Fool for You anthology, which includes my short story Toil and Tricks. Nearly caught picking pockets at a casino in Silvergarde, Kathra owes her closest getaway yet to the mysterious Cecily, a bewitching gambler with a lethal secret. Over the course of a single night and a high-stakes card game, Kathra is drawn into a web from which she may not wish to escape. Shane loves and hates his best friend, a mischief demon, in equal measure. But when the demon takes it upon himself to play matchmaker, Shane thinks the hate might just win out. Eager to escape an otherworldly bet, mirror demon Llednew determines to steal the life of a lonely young man. But executing his brilliant idea proves to be more difficult than anticpated. When Adam answers an ad for work at a local bakery, he has no idea what he's in for. Despite the storefront's dilapidated condition and isolated location, a steady stream of customers come through hoping to find what they're looking for from Jin, the mysterious owner. 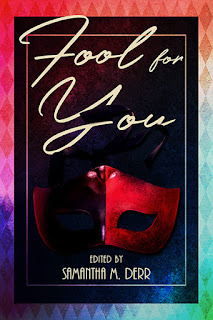 Eric is a trickster working for the Corps of Undercover Passion Instigators and Distributors. His latest assignment takes him to a bookstore where he has to bring together Ivo Newton and Tom Euler. What he's not supposed to do is fall in love with both his targets. Charlie and Jack used to be the best in the business in the heist business. And then Charlie fell in love and settled down. Ten years later, Jack is debt-ridden and down on his luck, and in walks Charlie, proposing to pull off the most outrageous job of their lives.